As you get dressed every day, why not toss on something that makes you feel your best AND gets you a bunch of compliments? Need a bit of inspiration? 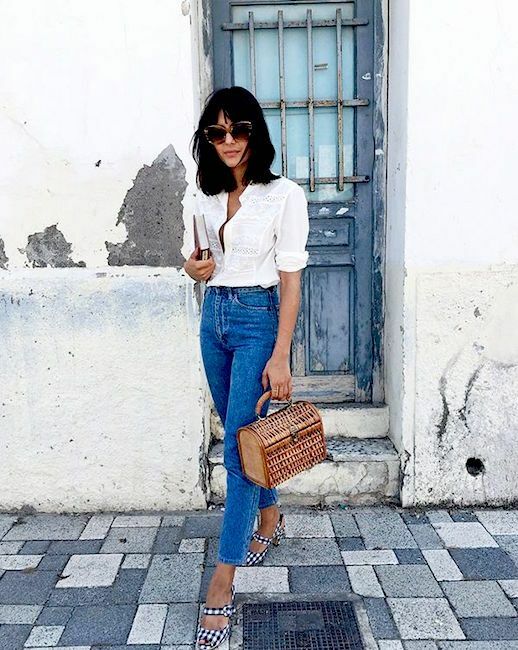 Maria Bernad wore the perfect summer combination: oversized sunnies, a lace blouse, vintage-inspired denim and gingham heels. A+!